Still a few games of hockey to be played which includes the Men’s 1st team in action. Clydesdale Men’s 1s will hope to finish the first half of the season off with a win that could take them into a top four Play-Off spot in Men’s National Division One when they visit Auchenhowie to take on Western Wildcats from 1.00pm. 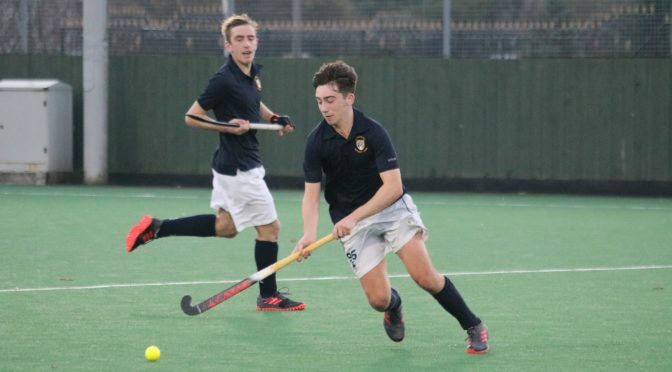 The M1s got their season back on track last weekend after their 2-1 win at home to Edinburgh University stopped a rot of four straight losses. The three points saw Clydesdale move up to sixth in MNL 1, a point and a game behind Hillhead, who sit in fourth place. Western Wildcats, on the other hand, will hope a win can keep up their bid to be champions come the end of the outdoor season. The Milngavie side are second in MNL 1 – courtesy of a better goal difference – and sit five points and a game behind league leaders, Grange. ‘Dale and Western only played each other a fortnight ago, with the latter succeeding in a 2-0 away win. But the M1s will have fond memories of playing at Auchenhowie of late, especially after their late 2-1 win back in March which saw David Nairn take centre stage with two goals. In the rest of our Clydesdale and Clydesdale Western teams in action, the L2s and L3 have double headers this weekend. On Saturday, the L2s – who are hoping to keep pace with the leading teams in Women’s Championship Division One – are at home to Grove Menzieshill 2s from 5.00pm. In the same league, the L3s are at Peffermill to play Edinburgh University 3s, 2.30pm PB. The two Clydesdale Western teams then face off against each other on Sunday from 3.30pm. The L6s also have two games over the weekend, both at home starting with Troon 2s on Saturday (1.30pm) before taking on GHK 3s on Sunday (2.00pm). The L4s and L5s have home fixtures on Saturday against Troon 1s (3.30pm) and Uddingston 2s (3.00pm) respectively. In the men’s fixtures, the M3s are at home to GHK 1s, 2.00pm PB at home. The M4s play Titwood’s first passback of the day at 12.30pm against Hillhead 6s. The M5s complete the men’s games on Saturday when they visit Ayr 2s from 2.30pm.